Whether you live in Los Angeles – or just love the movies – it’s hard not to get caught up in the excitement of award season. The nominations for the 86th annual Academy Awards were announced on Thursday, and many sites hit the ground running: Let the social media frenzy begin. Whether you live in Los Angeles — or just love the movies — it’s hard not to get caught up in the excitement of award season. The 86th annual Academy Awards nominations were announced on Thursday, January 16, and many sites hit the ground running. Let the social media frenzy begin. Here’s how some of the nominated movies, entertainment media and film sites shared nominations in their social media and got some substantial reach. This year’s Best Picture nominees are: American Hustle, Captain Phillips, Dallas Buyers Club, Gravity, Her, Nebraska, Philomena, 12 Years a Slave and The Wolf of Wall Street. While some of them are going full throttle to use the nominations’ attention and social media to increase buzz (and generate ticket sales), others could use a lesson in social media 101. After receiving a Best Picture nomination, what’s a film — or rather its social-media team — to do? Step one: Congratulate the film “socially.” This means posting, tweeting, Instagraming, etc., a photo with the number of nominations, as well as a list of the nominees. Step two: Update the cover photo graphic with call-outs to the film’s nominations. Step three: Come up with engaging content — photos, videos, questions — to get people to go back to the theater. Films that are not currently in theaters tend to “return” during awards season. Dallas Buyers Club: The Facebook page, which has more than 66,000 likes, posted a graphic — photo and quote — from lead actor nominee Matthew McConaughey and supporting actor nominee Jared Leto. McConaughey’s pic garnered 2,786 likes, 332 shares and 65 comments, while Leto’s pic received 4,004 likes, 1,028 shares and 132 comments. 12 Years a Slave: In honor of their nine Academy Award nominations, on the film’s Facebook page, which has around 140,000 likes, Fox Searchlight posted a video from Backstage. In this panel discussion, the cast members shared which job got them their SAG card. The lead-in question: “Which 12 Years a Slave cast member got their SAG card on an episode of Law & Order?” This post generated 478 likes, 12 shares and 5 comments. American Hustle: Lots of people “like” American Hustle, as evidenced by the engagement on their Facebook page, which has more than 340,000 likes. The simple pic of David O. Russell and the film’s cast — along with a list of congratulations to nominees in 10 categories — received 27,804 likes, 1,611 shares and 671 comments. The Hollywood Reporter and Variety — entertainment industry publications — are on the top of their social media game. Both live tweeted the nominations, posted about the nods and did multiple posts on nominee reactions and analysis. Perhaps the most impressive numbers came from their snub-related articles and social posts. The Hollywood Reporter has more than 262,000 Facebook likes and 830,879 Twitter followers (@THR). Their Facebook post to the article: “Oscar Nominations, Who Was Snubbed” received about 213 likes, 35 shares and 35 comments. The related tweet received 51 retweets, 18 favorites and 6 replies. 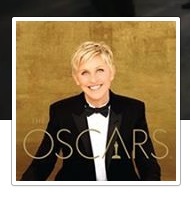 Variety has nearly 74,000 Facebook likes and 433,992 Twitter followers (@Variety). Their Facebook post with the question “Which nominations left you scratching your head?” to the article: “Oscars: 15 Biggest Snubs and Surprises” received about 192 likes, 76 shares and 64 comments. The related tweet received 55 retweets, 30 favorites and 2 replies. By the way, THR’s nominations post received around 217 likes, 46 shares and 14 comments, as well as 16 retweets, 19 favorites and 16 replies, while Variety’s nominees post received about 729 likes, 372 shares and 30 comments, as well as 67 retweets, 36 favorites and 6 replies. It’s important to note that even though THR’s fan base is greater, Variety’s numbers got a substantially larger reach.